OAKVILLE, ON, Sept. 30, 2011 /CNW/ - Starting October 1, consumers who turn in their vehicles for recycling (2005 models or older) will get up to $3,000 toward the purchase of a new vehicle from the Ford Motor Company of Canada, Limited. Ford's 'Recycle Your Ride' program is a great way for consumers looking to save on their next vehicle while doing their part for the environment. Since the program was first offered in 2009, Ford's Recycle Your Ride program has retired more than 50,000 old, polluting vehicles - enough to circle the globe twice. This has eliminated approximately 474,308 metric tonnes of smog forming emissions - that's enough to fill more than 260,000 garbage bags. "In today's uncertain economic times, the Ford Recycle Your Ride program means more people can now afford a new car with the latest in vehicle safety, fuel economy and smart technology," said David Mondragon, president and CEO, Ford of Canada. "It's a win-win-win for the consumer, the economy and the environment. I am proud to say that Ford of Canada has helped to recycle more vehicles than any other auto manufacturer." Visit your closest Ford dealer with your 2005 or older running vehicle that has been properly registered or insured for the last three months to confirm your eligibility. Purchase or lease your new Ford vehicle and receive the Recycle Your Ride incentive, over and above current incentives. *Program details available on www.ford.ca starting October 1, 2011. Many Canadians are unaware just how much of their old ride can be recycled. "A lot has changed in the auto recycling business," said Steve Fletcher, Managing Director, Automotive Recyclers of Canada (ARC). "Gone are the days of the haphazard junkyards, today's auto recyclers are highly organized businesses, which can recycle over 80 per cent of a single vehicle brought to them." Tires are reused when possible or shredded, cleaned and processed into useful items like playground surfaces and garden mulch. Once all of the salvageable material is removed from the vehicle the remaining structure is flattened and pulverized into fist-sized pieces, and shredded to recover and recycle the metals. Formed in 1997 as an "association of associations", the Automotive Recyclers of Canada (ARC) is the national voice of the automotive recycling industry, providing a forum for the channelling of information and addressing Canada wide concerns. Member associations: Alberta Automotive Recyclers & Dismantlers Association (AARDA); Association des recycleurs de pièces d'autos et de camions inc. (ARPAC); Automotive Recyclers Association of Atlantic Canada (ARAAC); Automotive Recyclers Association of Manitoba (ARM); British Columbia Automotive Recyclers (B-CAR); Saskatchewan Government Insurance (SGI) Salvage; Ontario Automotive Recyclers Association (OARA). ARC's 400 auto recycling members are committed to the cost-efficient and environmentally-responsible recycling of end-of-life vehicles (ELVs) using the Canadian Auto Recyclers' Environmental Code of Practice. Next June will be a great opportunity for vehicle recyclers from not only the UK, but Europe and further afield when the Complete Auto Recycling Show - CARS, opens its doors near Liverpool. Running concurrently will be the International Roundtable on Auto Recycling 2012, which attracts visitors from every corner of the globe. 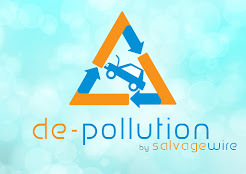 For the first time, those involved with vehicle recycling, and that includes, transport, depollution, parts, salvage, ferrous and non-ferrous processing, other recyclates and waste stream materials, will have a show designed to build this industry. See the ATF Professional website for more information. Mazda Motor Corp., Hiroshima, Japan, has introduced a new technology to recycle scrapped bumpers from end-of-life vehicles (ELVs) into raw material to make new vehicle bumpers. Mazda says the new technology is initially being used to make rear bumpers for the company’s Biante minivan. Mazda says traditionally bumpers are processed into automobile shredder residue (ASR) and incinerated to recover heat energy (thermal recycling). With the new technology, the company can recycle the ELV bumpers into material for new vehicle bumpers, improving the material recycling ratio (MRR) of Mazda vehicles. Bumpers comprise a large proportion of the plastic used in vehicles, and Mazda is developing bumper recycling technologies as an effective way to increase vehicle MRR. Mazda says it already has established a program to process damaged bumpers collected from in-use vehicles through the company’s dealer network in Japan. Mazda then aimed to further develop this damaged bumper recycling technology and adapt it for recycling ELV bumpers. 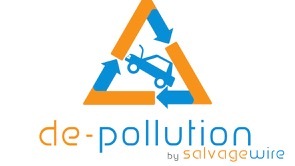 According to the automaker, one of the biggest challenges to bumper recycling is that many ELVs are more than 10 years old, so the composition of the bumpers' polypropylene plastic and the adhesive properties of the paint vary considerably. As a result, Mazda notes, processing ELV bumpers into new material has previously been technically and economically difficult. To attempt to overcome this, in the 1990s Mazda began designing bumpers to be easily recyclable, and now the number of ELV bumpers that can be efficiently dismantled is increasing. Mazda has also developed and implemented efficient ELV bumper collection and processing methods in collaboration with two Hiroshima-based companies, Yamako Corp. and Takase Gosei Kagaku Corp. As a result of the initiatives, Mazda says the cost of recycling is less than the cost of purchasing new plastic. Initially, Mazda is collecting bumpers from end-of-life Mazda vehicles in the Hiroshima area, and the recycled plastic will comprise about 10 percent of each new bumper produced. Currently, about 20 percent by weight of ELVs is incinerated as ASR. Bumpers comprise a large proportion of the plastic so collecting and recycling ELV bumpers is expected to make a significant contribution to reducing ASR and optimizing efficient use of resources.